Your phone is constantly vying for your attention. “1 new message,” it beeps. “Someone mentioned you on Twitter,” it chirps. When you’re trying to concentrate, this is a nightmare. It’s time to block distractions and get things done with some free apps. Blocking distractions is different from apps that improve focus. 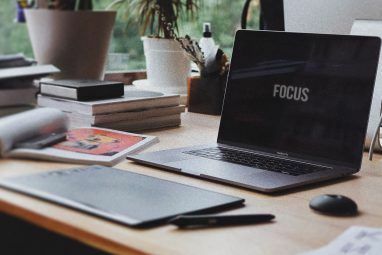 You need to block distractions when you set time aside for work Time Blocking -- The Secret Weapon For Better Focus Time Blocking -- The Secret Weapon For Better Focus Are you looking for a more efficient way to organise your work-days? Try Time Blocking. This time management tactic can help keep you on track while keeping distractions, procrastination, and unproductive multitasking at bay. Read More , because trying to achieve a zen-like state of complete concentration is harder than simply stopping things that are trying to grab your attention. You need to understand two things before you start blocking distractions. First, no app is completely fool-proof. Second, this is a battle between your need to work and your discipline. These apps aren’t going to magically stop everything for you; you have to play an active role in exerting some discipline. The key, though, is that apps make it easier to say no to distractions. Discipline and willpower are muscles which we don’t exercise often. Just like you wouldn’t suddenly lift 200 pounds with your untrained muscles, you shouldn’t block distractions with sheer willpower alone. Is it possible? Yes. Is it the best possible way? No. So says Fred Stutzman, a researcher who built the Freedom distraction blocking app. If you are already self-disciplined, then you’re better off with apps to hone your focus Enough Already: 4 Android Apps To Curb Your Smartphone Addiction Enough Already: 4 Android Apps To Curb Your Smartphone Addiction These smartphones are fantastic for productivity, really. You can check your email, research things online, read your RSS feeds, take photos, upload them to Facebook, read what your friends have to say on Facebook, chat... Read More . However, if that self-discipline is an issue, then first try blocking distractions. ClearLock keeps it really simple and is the perfect app for beginners. Start the app and you’ll get a list of all your apps. You can select all or pick and choose which ones you want to block, once you start a “lock session”. Tap the Play/Start button and choose how much time you want the session to last for. Once ClearLock kicks in, it won’t allow access to or notifications from any app apart from the approved apps. That includes calls and messages too. If it’s an emergency and you need to access your phone in the middle of a session, you can restart it and use it as usual. But that’s where the minute amount of self-discipline is important. Ask yourself, is it really an emergency? If you want to allow phone calls from your important/favorite contacts to come through but not others, you can set up Android Lollipop’s Priority Mode How to Set Up Android's Priority Mode (and Get Back Silent Mode) How to Set Up Android's Priority Mode (and Get Back Silent Mode) Volume controls changed a lot in Lollipop, so we're here to help you make sense of all of it. Read More for that and then allow the Phone app in ClearLock. The paid ClearLock Pro ($1.99), an in-app purchase, lets you schedule lock sessions to automatically kick in at preset times. Pro users also get the QuickStart Widget to access ClearLock from your homescreen. FocusLock [No Longer Available] was a close contender, since it works like ClearLock but also incorporates the Pomodoro productivity technique Cut Through Procrastination With These Pomodoro Technique Apps & Software Cut Through Procrastination With These Pomodoro Technique Apps & Software Procrastination is a malady that pervades students and workers in all corners of the world and it infects amateurs and professionals alike. As a writer, I suffer from procrastination on a daily basis. Some people... Read More by setting 25-minute block periods with 5-minute breaks. Of course, that time period is customizable. However, the interface isn’t as simple and clean. 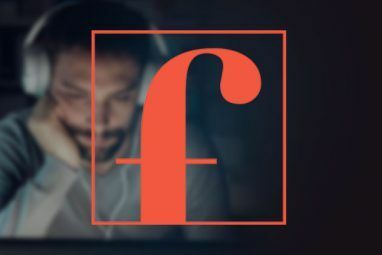 FocusON [No Longer Available] was going to be my choice when I started writing this article, since it also lets you block websites and notifications along with apps. However, that website and notification blocking is quite selective. For example, you can’t block websites in Firefox, it works only in Chrome. And the notification blocking doesn’t work that well either. ClearLock’s simplicity won me over, but if you want more customization and scheduling for free, FocusON is worth a look. Best For iOS: None. Seriously. Unfortunately, Apple’s restricted ecosystem makes it impossible for an app like ClearLock to exist on iPhones or iPads. Your only option to block apps is to dive into the phone’s settings and switch off Wi-Fi and cellular data, or switch on Airplane Mode. Yes, that’s not the best solution, but there really isn’t anything better. I tried out a few apps, like the aforementioned Freedom for iPhone [No Longer Available], which claimed to offer similar distraction-free blocking, but they just don’t work well. You can switch off Wi-Fi and cellular data to deny Internet access while allowing phone calls and text messages. You can switch on Airplane Mode to turn everything off. You can swipe up from the bottom of the screen and tap on the moon icon to turn on Do Not Disturb. This will stop notifications, alerts and calls when the screen is off. You will still get calls if someone calls twice within 3 minutes so you can get alerted to an emergency. You can allow Favorites or filter by contact Groups. With Do Not Disturb you can also choose a time when you want to be disturbed. There is no middle path to block notifications or calls and texts for iPhone and iPad users. You might want to play around with IFTTT to set automated triggers for calls and texts on iOS Put Your iPhone To Work With IFTTT Put Your iPhone To Work With IFTTT IFTTT is an acronym for "If This, Then That" and it's pronounced like the latter part of the word "gift". The service promises to put the web to work for you, using a system of... Read More . No matter which app you use, you need to set up certain rules for yourself and the people around you to ensure the block is working well. After all, the phone is just one aspect of the distractions; the battle is within yourself, isn’t it? Planning is super-important. 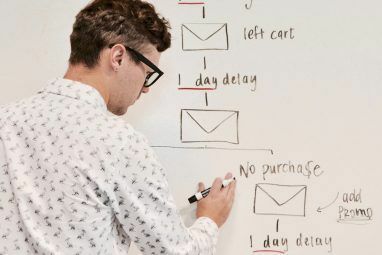 You need to prioritize your to-do list The 3-Strike System: How To Prioritize Your To-Do List The 3-Strike System: How To Prioritize Your To-Do List Are you not getting through your to-do list? The problem might not be your productivity, it might just be your priorities. Let's learn how to prioritise the to-do list, and get things done. Read More and plan what you’ll do in the blocks. It doesn’t work without that. Club small tasks together into a large distraction-block. So if your block is for 25 minutes, finish five different five-minute tasks in that. But keep the dedicated work block’s timing intact at all times. While your phone will block distractions, you also need to manage expectations. Tell family, friends, and colleagues that you plan to do this, so that if you don’t pick up their calls or answer their emails, they aren’t disappointed and don’t think you are being rude. Keep a time-diary and track the benefits of how much you got done from your no-distraction blocks. It’s the same idea as using a “Done” list to meet targets Ditch Your To-Dos: How To Use A "Done" List To Achieve Your Resolutions Ditch Your To-Dos: How To Use A "Done" List To Achieve Your Resolutions Resolutions come from a part of yourself where you feel lacking. Instead of a to-do list, try a "Done List" for a positive mindset to achieve your targets. Read More . Looking at achievements and benefits is a great motivator to continue with a system. Newport’s full experiment at 99u is worth reading for more details on what it’s like to work a full day without distractions. How Do You Block Distractions? Android users, which of these apps or other apps have you used? Share your productivity tips! iPhone users, do you find it tough to block distractions? Have a tip to share? Like our very own Justin Pot, do any of you shun smartphones entirely Why This Technology Blogger Does Not Own a Smartphone [Opinion] Why This Technology Blogger Does Not Own a Smartphone [Opinion] "Do you have a smartphone yet?" It's a question my friends ask often, and it's a reasonable one to ask. I make my entire living writing about technology, explaining how to use software and interviewing... Read More because they are a distraction? Explore more about: Focus, Time Management. I loved Offtime for Android. The light version for iOS unfortunately only keeps track of the time spent online. I want an app that will allow a remote person, like my wife, to control my iPhone from her iPhone with a passcode so that I can have my iPhone on Airplane Mode from say 8 - 11 AM every morning so I can write without distraction - because I only access internet through the Settings "Personal Hotspot" I don't have WiFi at home, so I would absolutely be able to not access internet, email, or phone service - seems like this would be a simple app to produce; the "OurPact" app for parent/teenager might almost work, but I also want to eliminate text and phone during these times, not just email/internet. If your cell phone is turned off while you are working, it will cause no distractions. 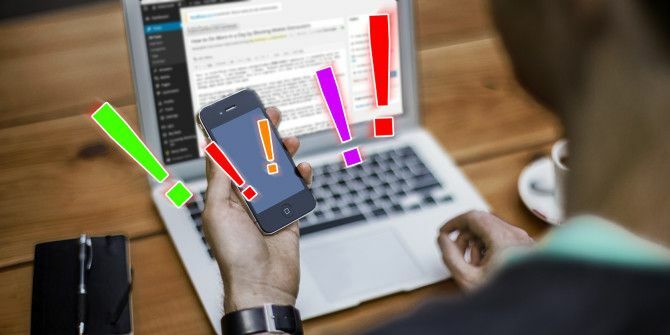 First, essentially everything that can create a notification on my mobile devices will create that same notification on my computers. Second, I really don't allow mobile apps to make noises at me (Android 5 has pretty good notification controls, which are found under "Sounds" in Settings) at all unless they're E-mail messages or instant messages on an account that only a tiny number of people know I have. I don't accept SMS messages, I don't use any social media and I have individual ringtones set for anyone who might call me. All of which is to say I don't want to and don't need to look at my phone very often, which is exactly the way I want it.